Weâ€™re back to where we started â€“ two sisters living under a government we canâ€™t trust. The rest of our friends are dead or missing. Texas should be our safe haven, but have we traded one prison for another? There are larger things at work; more allies and enemies to be found. They all look the same to us. The Texans want us to fall in line. The rebels want us to fight. The colonies are more dangerous than we imagined, and weâ€™re caught in the middle. Not all of us are meant to be soldiers, but the time for indecision has passed. Sides must be chosen. Bonds must be broken. And the war will begin. 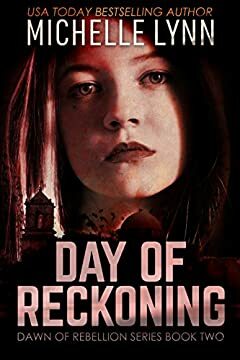 â˜…â˜…â˜…â˜…â˜… - "The narrative is tightly focused and although this is dystopian fiction, Lynn has crafted a very believable story - one that readers can lose themselves in." â˜…â˜…â˜…â˜…â˜… - "A great series that keeps you wanting more. Enjoyable from start to finish." â˜…â˜…â˜…â˜…â˜… - "YA dystopian fiction at its best."